Yellowing lawns can be a frustrating issue for many people. In Australia, drought and water restrictions can often lead to lawns losing their vibrant green colour, but they’re not the only cause. If your lawn is getting plenty of water and still looking yellow, there could be something else causing it. Below we’ve highlighted a few common causes of yellowing grass and some solutions that may help fix the issue. Dog urine is rich in nitrogen, an element that when used in excess, is notorious for killing grass. When your pooch goes to the bathroom on your lawn it can cause yellowing grass as the nitrogen concentration in the urine kills it. One method to help reduce the number of yellow spots in your grass is to wash down the area of grass where your dog has gone to the bathroom once they’re done, with either a hose or bucket. This helps dilute the nitrogen concentrate, and can assist in keeping grass green and healthy. Another option is to train your pooch to use a designated area when doing their business, to keep it off the areas you wish to protect. Fertilisers also contain nitrogen, and as such over-fertilisation can be a cause of yellowing lawns. In small doses, the nitrogen in fertilisers is great for grass as it encourages growth, however, if you get a little overzealous with fertilising your turf, issues may arise. If fertiliser is applied too heavily, it can cause the roots of the grass to burn and dry out, leading to the yellowing of grass often seen. If you notice your grass has turned yellow after fertilising there are a few steps that can be taken to try to reverse the effects. The first is to remove any fertiliser still visible on the grass, and then to water the turf thoroughly, in an attempt to dilute the nitrogen present. Water the grass for a week or so. If after this time has passed, there are still areas that are yellow, they may require reseeding. On the flip side, a lack of nutrients can also cause a lawn to yellow. A lawn lacking in nitrogen or iron can turn yellow, as these nutrients are vital for the chlorophyll process. 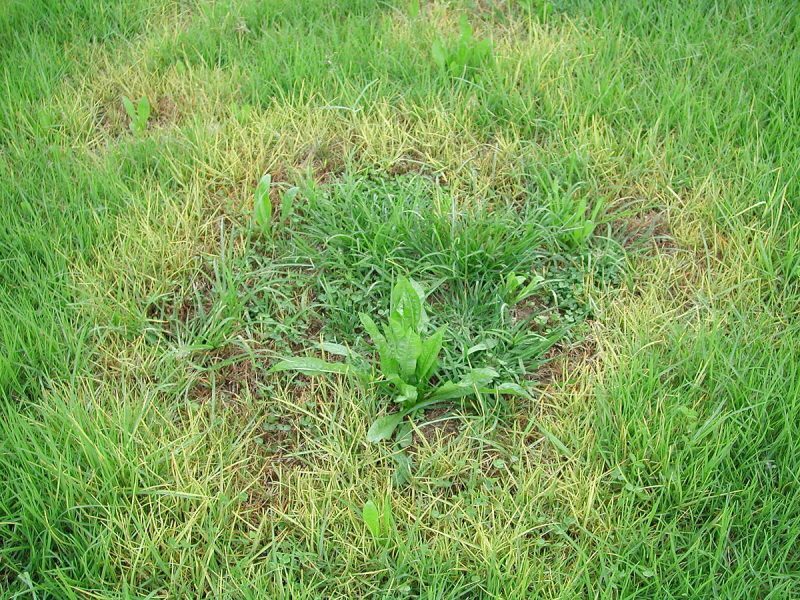 If you suspect a nutrient deficiency could be the cause of your lawn looking under the weather, then it may be worth conducting a soil test to see if your suspicions are confirmed. You can either buy a do-it-yourself soil test from a nursery, which should be able to test the pH level of your soil and check for the presence of a selection of nutrients, or use a soil lab for a more comprehensive result. If it turns out your lawn is lacking in one or a few nutrients, fertilisers and plant food can be used to help make them healthy again. While seeing a yellowing lawn can be disheartening, there can be solutions to the issue. Whether it’s to wait until drought restrictions are lifted and more rain comes, or it’s tied in to the nutrient levels in the ground, yellow lawns don’t always have to mean the end of your turf. With a little research and some patience, you lawn could be back to looking fighting fit in no time! Short on time? Jim’s the one! Call us on 13 15 46 today or book online.